Utilize the power of search, grow users, convert followers to buyers and increase organic search for your website traffic. A4DM’s is a social media management company that is dedicated to expanding your digital media reach that can directly target your consumers, while fully optimizing the process. Social media has become an undeniable tool for marketing and customer engagement. Customers are more often making buying decisions through online research, following brands on social platforms and searching for services on their mobile devices. Over 81% of businesses are using social media for online marketing, but not all of them are optimized for driving leads directly back to your business. At A4DM, we incorporate our SEO capabilities and services into your social media accounts in order to drive more traffic to the site, increase online impressions, and improve search engine ranking. Use your company’s social media accounts to also connect with industry leaders, competitors, and your clients. Any traffic shared on your company’s accounts can direct web traffic back to your website(s). Social media marketing is a necessity for your business in order to project your company has industry driven. Social media platforms can also be used to communicate with your customers online—quick responsiveness and online interaction improves your brand image. It is also crucial to have your social media accounts linked directly to your website. Once a customer visits they can explore where your business is communicating online. After conducting a baseline report of your social media accounts, our team will suggest new social media platforms relative to your industry along with suggested posts. Don’t have any social media accounts? 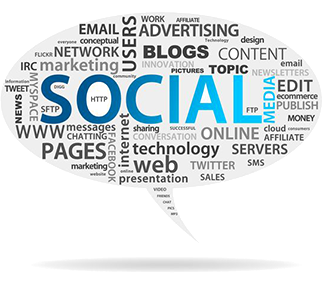 Our social media experts can create the accounts and optimize them to drive people to your website directly. Most social platforms also offer Paid Advertisements. Our social media marketing team is also trained on how to construct these ads, how to target them directly to your customers and to optimize them for your online goals. Facebook Paid Advertisements can we designed to increase traffic to your website, increase attendance to company events, and visits to your location. Proof is in the analytics. At A4DM, we use data from your conversions and social media marketing success to drive what you should be Tweeting, blogging, and posting about. If you decide to use paid social media advertising, we can provide you with detailed progress reports. 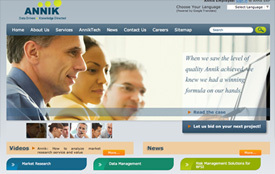 Integrating our knowledge behind our SEO and linking it to your social media marketing strategy is the A4DM approach. We look at how your customers search and integrate their language and key words into our social media efforts and postings. In addition, we use both people and software to amplify our efforts.This all leads to better social media engagement and better organic search. Which leads to better results for your business.